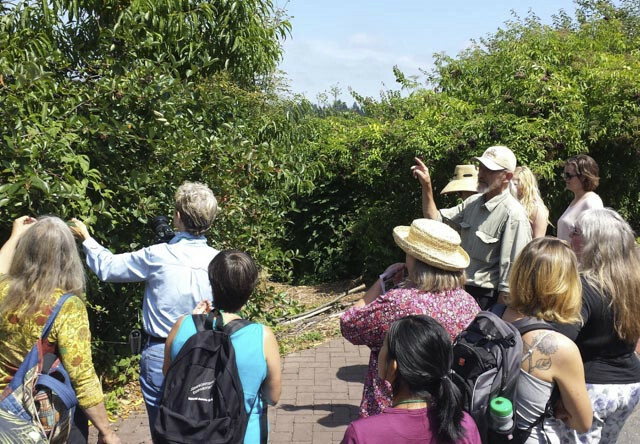 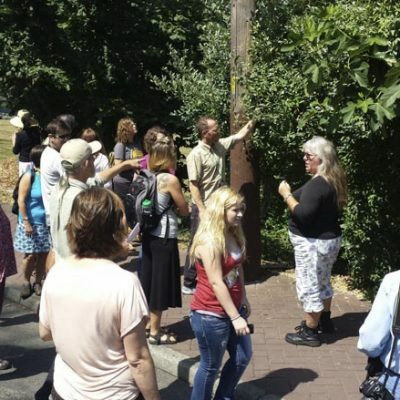 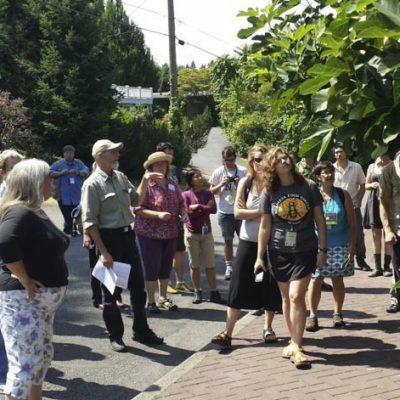 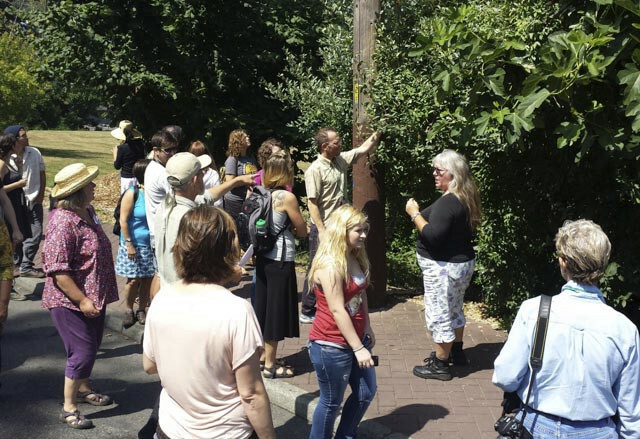 On August 10 the American Community Garden Association visited the Meadowbrook Orchard’s Edible Hedge. 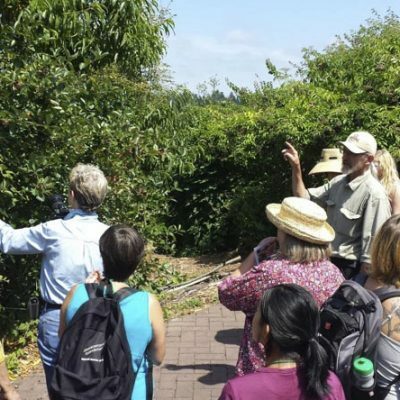 Supported by Orchard steward John Samaras and ACGA contact Laura Sweany, the tour of the site had representatives from all over the country (Arkansas, Texas and Florida, to name a few) as well as visitors from such worldly places as Denmark, Canada and England. 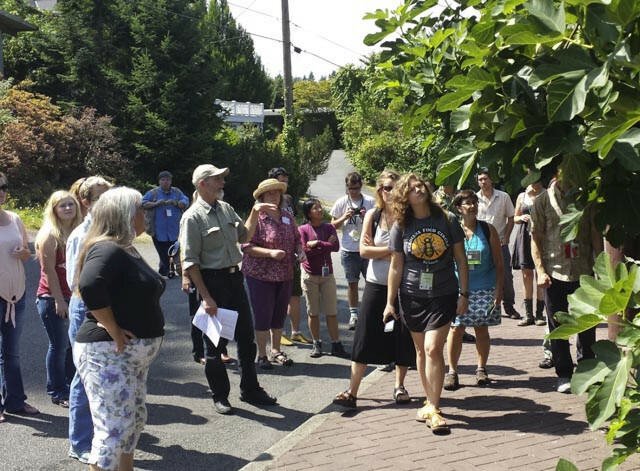 A separate tour group from the ACGA also visited the Meadowbrook Annual Garden.